Shortly thereafter, Hubert realised that ‘affinage de camion’ (van maturing) was not viable and having moved over the border from Auvergne to St Haon-le-Chatel on the Cote Roannaise, they constructed their first purpose built maturing room which was insulated by two metres of earth. As success in their maturing rooms blossomed, they went on to occupy a shop in Roanne and called it ‘L’Auvergnat’. As the shop continued to flourish they expanded their maturing rooms and were also able to begin a wholesale operation. In the 1980s, Hubert's two sons Laurent and Herve joined the family business. 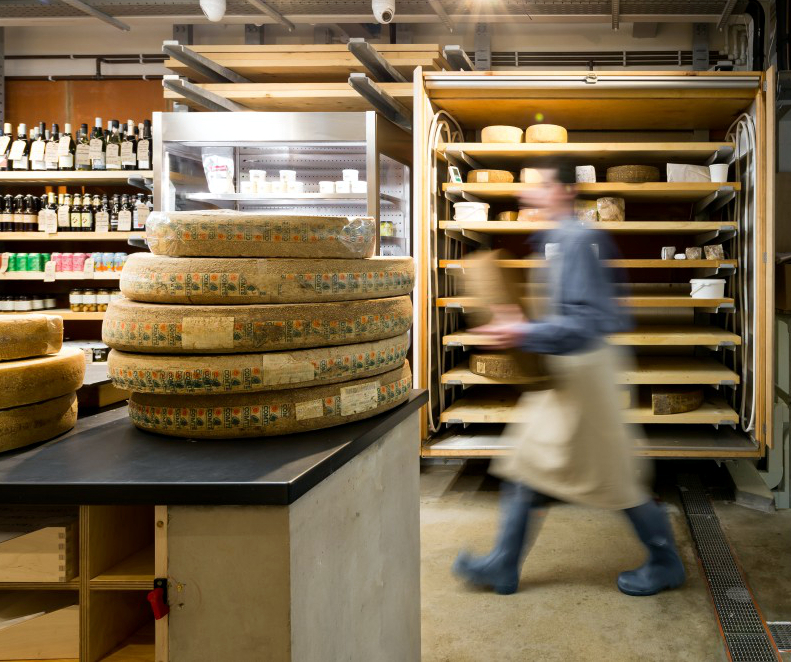 Laurent took over the family shop and Herve oversaw the cheese ripening, adding another large maturing room to the premises which was designed to keep slow ripening, cooked recipe mountain cheeses. In 2007, an opportunity to expand into a disused railway tunnel in nearby Ambierle presented itself. Experiments began to test its potential for maturing tommes and other un-cooked, hard cheeses like Salers, Cantal and Laguiole. The results were successful and in 2010 the tunnel was fully converted and put to use. The British arm of Mons cheeses began business in 2006. We import traditionally made cheeses from France & Switzerland, ripened in the cellars at St Haon le Chatel. From our base in Voyager Business Park, Bermondsey, we store, mature, wholesale and, on Saturdays, retail our cheeses. We also have permanent shops in Lordship Lane, East Dulwich and Borough Market, along with a Saturday pitch at Brockley Food Market. For more information visit our retail and wholesale pages. Mons Cheesemongers, Lordship Lane, East Dulwich.